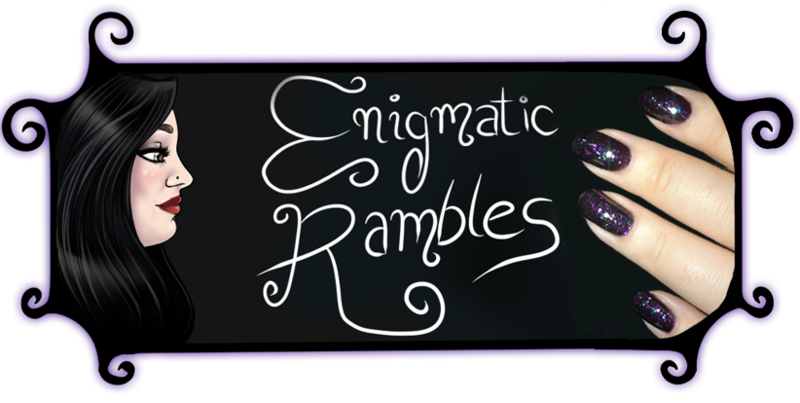 Enigmatic Rambles: Battle of Nail Polish 2012: Top Three! 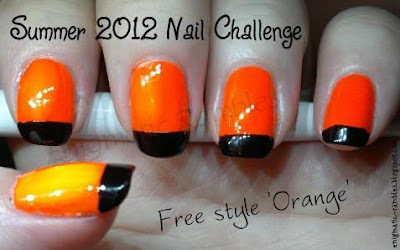 So we've had all of the battles and now it is time to whittle the best of each round down to the top three nail polishes of 2012! 3) Eyeko - Vampira ~ This is another blackened polish, this time it is a deep dark red glitter. 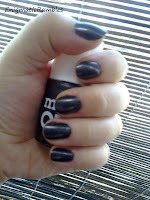 It is quite delicate which is odd coming from such a dark polish. 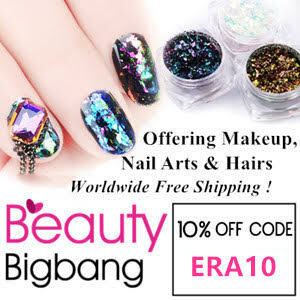 Unfortunately since Eyeko's revamp they have stopped doing nail polish, although I think China Glaze does a similar polish, that is called Lubu Heels. 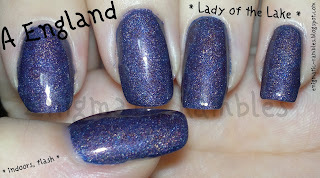 2) A England - Lady of the Lake ~ Quite surprised that this was the only holographic polish making it in to the top three polishes. This is a dusky purple polish with a really beautiful holograph running through it. Admittedly living in the north of England limits the amount of day light I have and that means less sunlight which makes the polish 70% as amazing as it always is in direct sunlight. 1) Revlon - Facets of Fuchsia ~ I adore this polish, wore it for my wedding and it is after all a blackened purple. Lot's of depth to the polish, chunky hex shaped glitter too. What more could I want from a polish. I've been loving your "Battle of the Polishes" posts - I found myself looking forward to them!